7 days a week, 365 days a year for a date and time to suit their requirements. Did you know, 30% of bookings are made outside of working hours? Dealers can grow customer loyalty and increase workshop loading by allowing customers to book their vehicle into the workshop at their convenience, any time of day, any day of the week, any day of the year. By using our dealer specific portal, customers can view up to the minute workshop and courtesy car availability and book their vehicle, real-time, for all servicing and repairs. Allow your customers to book into your dealerships at any time of the day or night, 7 days a week, 365 days a year on a date and time to suit their requirements. Make it easy for your customers to amend a booking if their circumstances change, or even cancel an appointment directly from your portal. Convenience is key for your customers, so having the Online Booking portal fully responsive to mobile means customers can make bookings wherever and whenever they want. With DMS integration*, true workshop availability can be shown and made available online to your customers, helping to load your workshop. Include links to your online bookings portal on all of the follow up communication you send from Proactive Follow Up to make it as convenient as possible for your customers to book with you. Why not include current special offers as part of the booking process, such as winter tyres from October to March, or a spring clean valet in April, helping to boost online returns? Include videos or photographs explaining what each special offer includes, together with the benefits, ensuring the customer is fully informed and up to date. When making a booking show true courtesy car availability on any date in the future by cross checking the courtesy car diary so a customer can choose a suitable date with or without a courtesy vehicle. 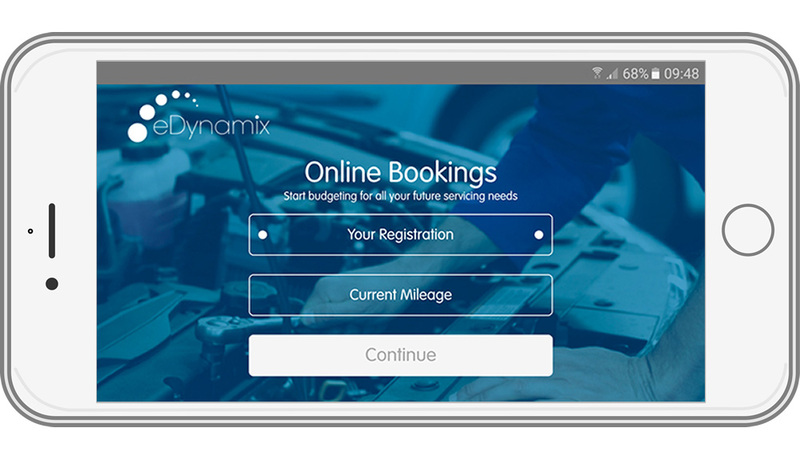 Customise the bookings portal to look and feel like your own dealer website, or choose to have the application embedded within it to provide a seamless experience for your customers. Using a VRM lookup** for vehicle model, variant, fuel type and age together with the dealers own menu pricing engine, a tailored price for each service can be given to the customer. You could offer an automatic discount for those customers who choose to book online through your portal, or further discounts to those identified as new to the business. As a booking is confirmed an email is sent to a dedicated internal email address and also becomes available within the Open Bookings area for members of the team to sense check and create within your DMS system. Offer online bookings from one central portal even if you are a dealer group with multiple franchises, providing tailored service prices to each customer and vehicle.